Our farm has been family owned and operated for more than 70 years. Our Grandfather Gordon Bedlington started growing seed potatoes in 1946 with 4 acres. We now farm about 1000 acres. This farm is now owned by the 3rd generation, Scott and Melissa Bedlington. We continue to look for better varieties and use the latest research to help ensure top quality seed potatoes for our customers. We are as far NW in Washington as you can get. 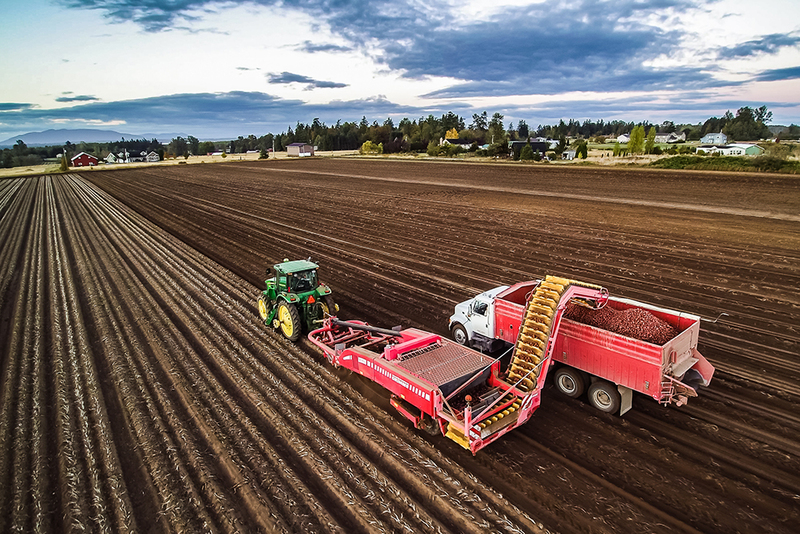 Bordered by the Cascade Mountain Range and the Pacific Ocean; we grow potatoes in an Isolation District recognized by the Department of Agriculture. The Pacific Rim also gives access to export markets.